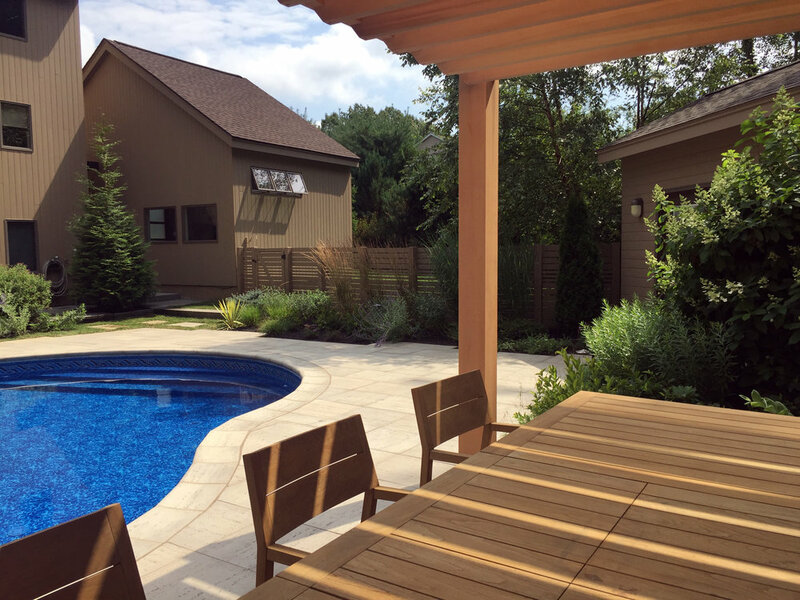 In the second phase we turned to the backyard and transformed an existing pool into a shaded retreat. We continued the loose, prairie-style planting palette, relating it to the woodland context. We paved the pool-surround in light-colored travertina pavers - to keep bare feet cool - and defined spaces for lounging and dining. The cedar pergola brings filtered light and an intimate scale to the dining area, a welcome contrast to the majestic pine trees towering above.